Paul DelVecchio was born on 5 July 1980, in Providence, Rhode Island USA, of Italian descent. 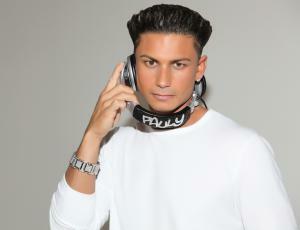 Known to the public as Pauly D or DJ Pauly D, he is a popular disc jockey, television personality, as well as an actor. Pauly D’s rise to fame started in 2009, when he was cast as one of the housemates in a reality television series “Jersey Shore”. The show quickly became a hit among the audience and not only boosted MTV ratings, but introduced the cast members to the limelight. Pauly D was part of the “Jersey Shore” for six seasons, and soon became known for his free and careless attitude. So how rich is Pauly D then? According to authoritative sources, Pauly D’s net worth is estimated to be $15 million as of mid-2016, the majority of his wealth having come from his involvement in the entertainment industry. Examples of income – Pauly D’s salary for every episode of “Jersey Shore” amounted to $150,000, while his total earnings in 2012 and 2013 accounted for $11 million and $13 million respectively. Pauly D studied at Johnston High School in Rhode Island; his passion for music heavily influenced his career path, and inspired by Adam Michael Goldstein, better known as DJ AM, Pauly D began working as a local DJ. Around the same time, he auditioned for and was then cast in the TV reality series “Jersey Shore”, in which his housemates were Snooki, Michael Sorrentino, Jennifer Farley – better known as JWoww – and others. The show revolved around their lives in Jersey Shore, and even though it initially caused much controversy and criticism, the show continued to attract a large viewership, and became one of the highest rated series on MTV. The popularity of the show spawned many spin-off series in a variety of countries worldwide. It was also the cause of the beginning of “The Pauly D Project”, a reality television series with a focus on Pauly D and his rise to stardom as a DJ. With the launch of the spin-off series in 2012, Pauly D became the first member of “Jersey Shore” to have his own show. Pauly’s net worth benefited considerably. Pauly D’s project inspired a second spin-off of “Jersey Shore” called “Snooki & JWoww”, that features two of his former housemates. So far “The Pauly D Project” has aired one season only and has a total of 12 episodes. In addition to working on his own series, Pauly D has been present in many projects as a DJ. In 2011, Pauly D announced that he had signed a record deal with “G-Unit Records” founded by 50 Cent, which will eventually result in the release of three albums, as well as a brand new set of headphones. That same year, Pauly D made another announcement, revealing that he would perform as an opening act for Britney Spears’ “Femme Fatale Tour”. To date, Pauly’s contributions to the entertainment industry have been rewarded with a nomination for Teen Choice Awards, as well as two wins for Teen Choice Awards for Male Reality Star. In his personal life, DJ Pauly J has a daughter, but problems with the girl’s mother apparently persist. He is apparently been dating singer Aubrey O’Day since early 2016.